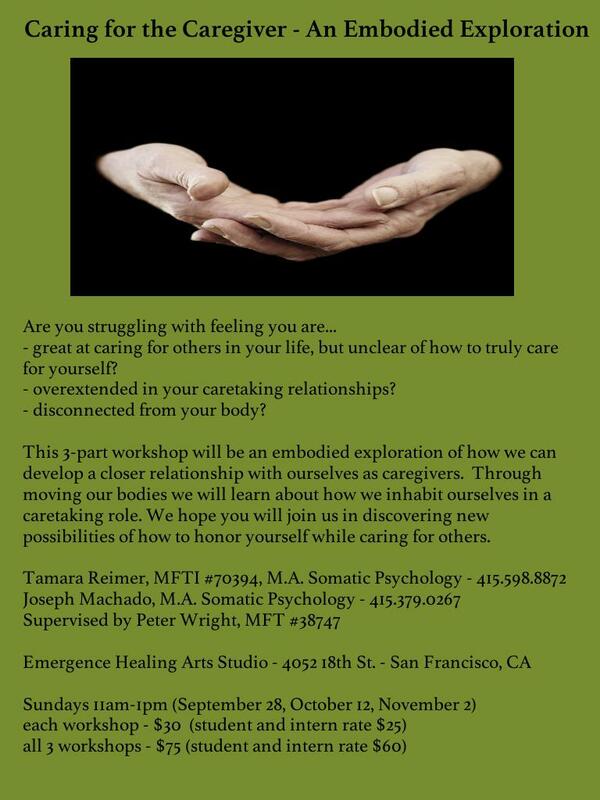 This fall Emergence is excited to be hosting “Caring for the Caregiver”, a series of 2 hour workshops focusing through movement and embodied explorations on how we as caregivers, can learn to take better care of ourselves while we care for others. This is a wonderful opportunity for caregivers of all kinds (whether you play that role in your personal or professional life). Healthcare practitioners, educators, healers, parents, children, and all others who are in a care giving role in their life are welcome to come join us.